And Laindon's WW2 ARP Bell. 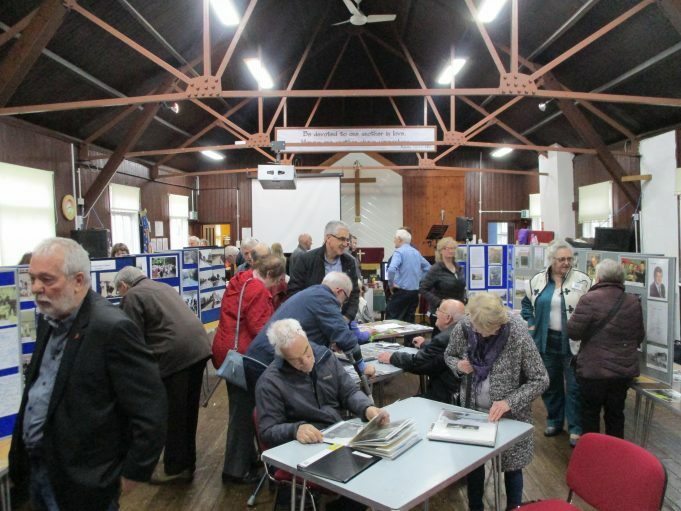 The 2018 Annual Display on 31st March was a great success. Dozens of people flocked along to the Manor Mission Hall. A dreary grey day was brightened up by the many old photographs pinned to display boards, commemorative merchandise, a very popular raffle and of course the refreshments corner. A variety of delicious cakes to choose from was particularly tempting. 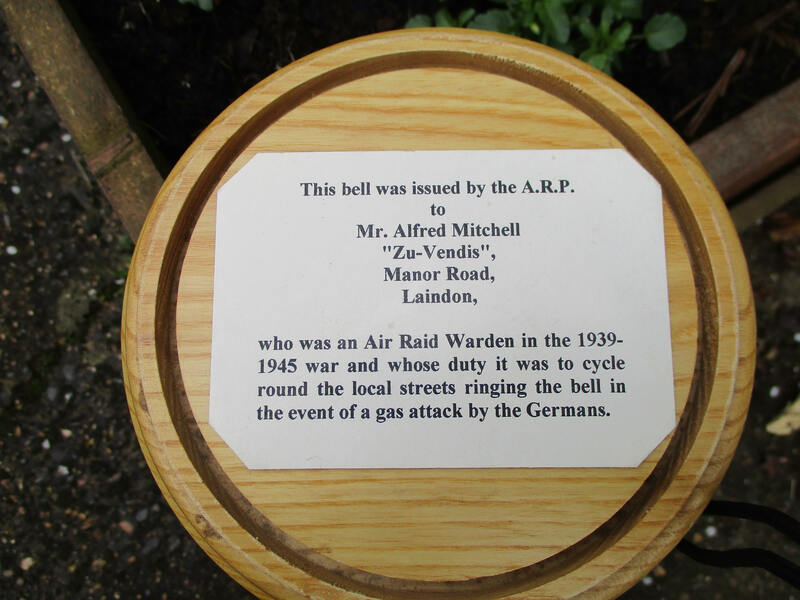 Visitor Leslie Mitchell, formerly of Basildon Road, Laindon, delighted visitors by bringing along his father’s A.R.P. bell and stand which attracted plenty of attention. 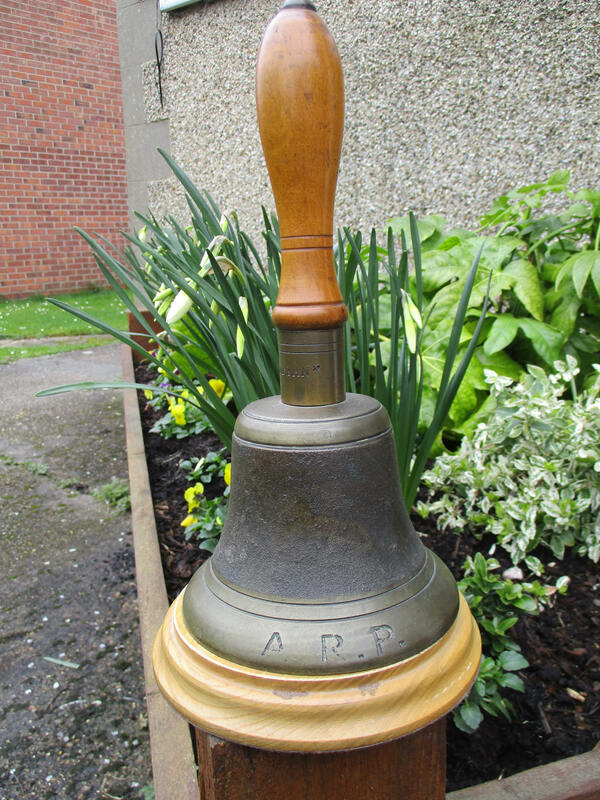 The ringing sound of the beautiful old bell brought back fond memories of times when similar bells were commonly used in schools etc. Eight raffle prizes remain unclaimed. These will be on display at the Laindon Library on 28th April, when the winners will be able to make their choices. 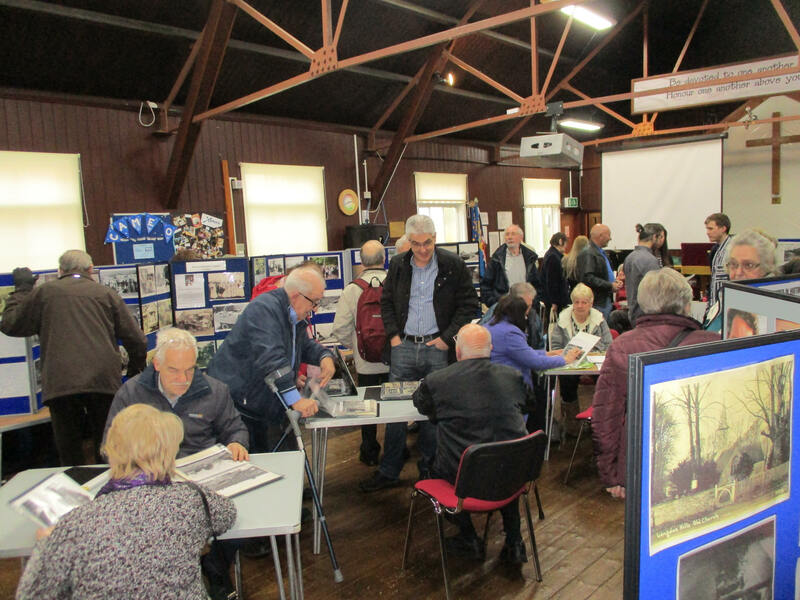 The Laindon and District Community Archive would like to thank everybody who attended the event and look forward to seeing you on Memory Days at Laindon Library – last Saturday in every month, from 10am until 12noon. New visitors always very welcome. 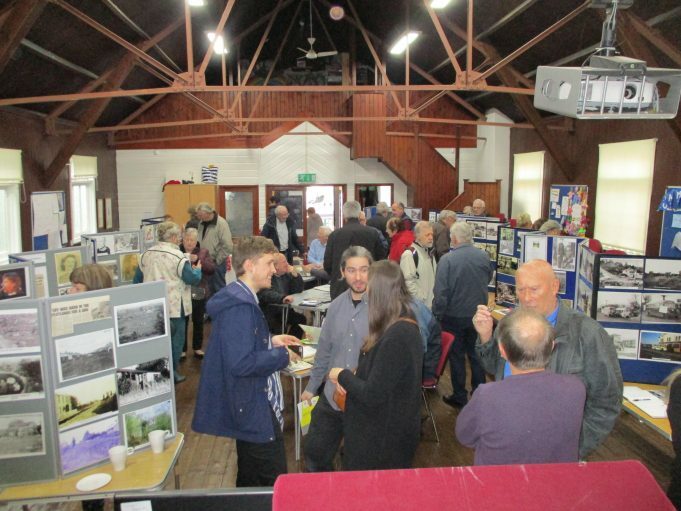 A very successful occasion and well attended. The place was buzzing when we arrived. Met some well loved friends again as well as new people. Heard yet more interesting and amusing anecdotes about my father Dr Chowdhary. A real pleasure to feel part of this community again.